Do you have a firefighter in your life? 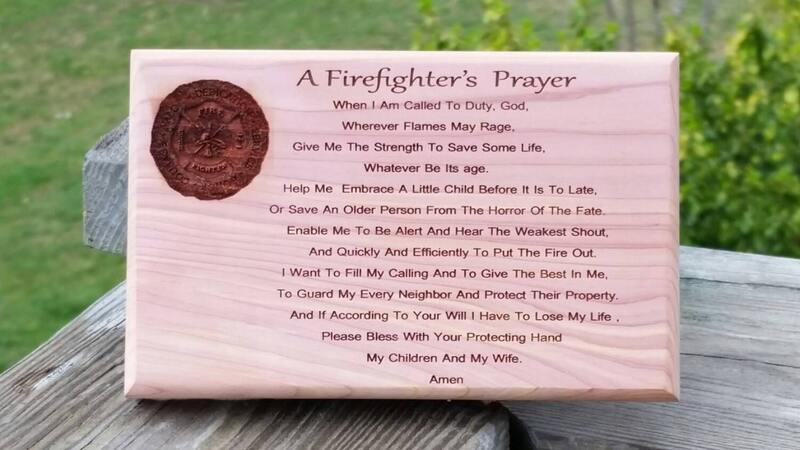 This beautifully crafted wood plaque has the firefighter's prayer engraved on it. It will make a beautiful and special gift for that special person that tries to keep us all safe from harm. Each plaque can be free standing or wall hung, please choose at checkout the style you would like. QTY: 1 plaque nicely wrapped ready to be given. Thank you for visiting FineGiftsEngraving.etsy.com where fine craftsmanship and engraving meet!